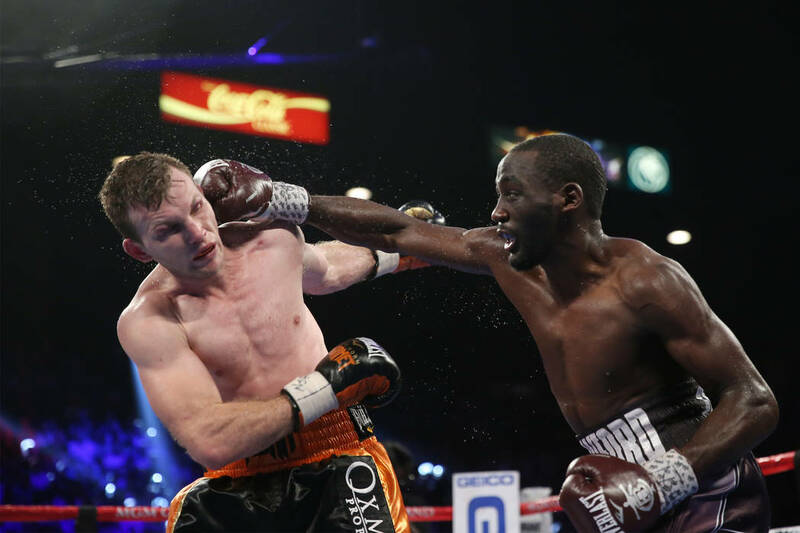 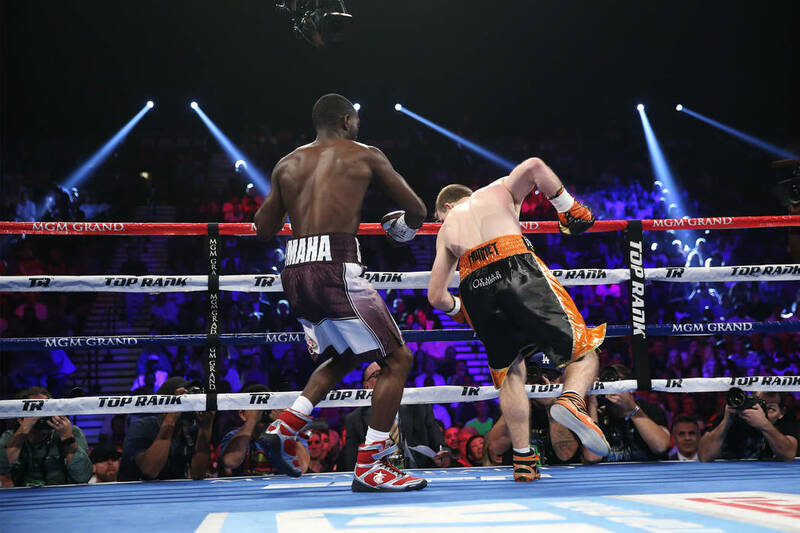 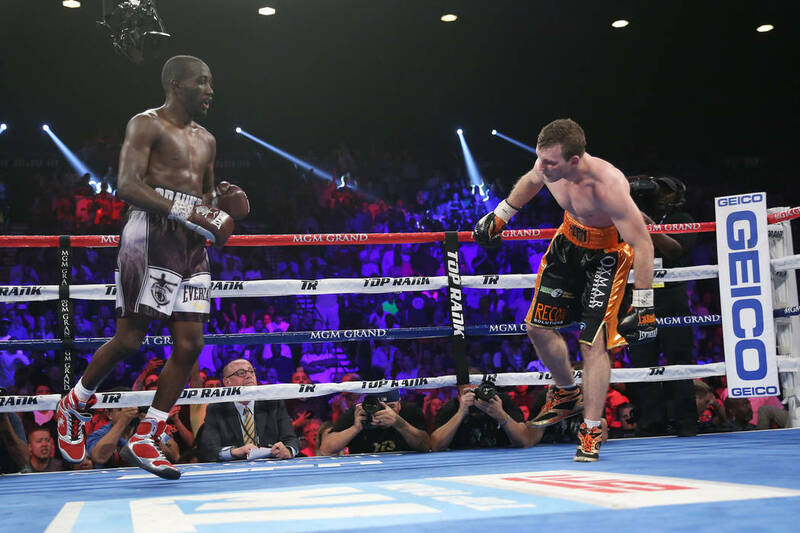 Terence Crawford defeats Jeff Horn to become welterweight champion. 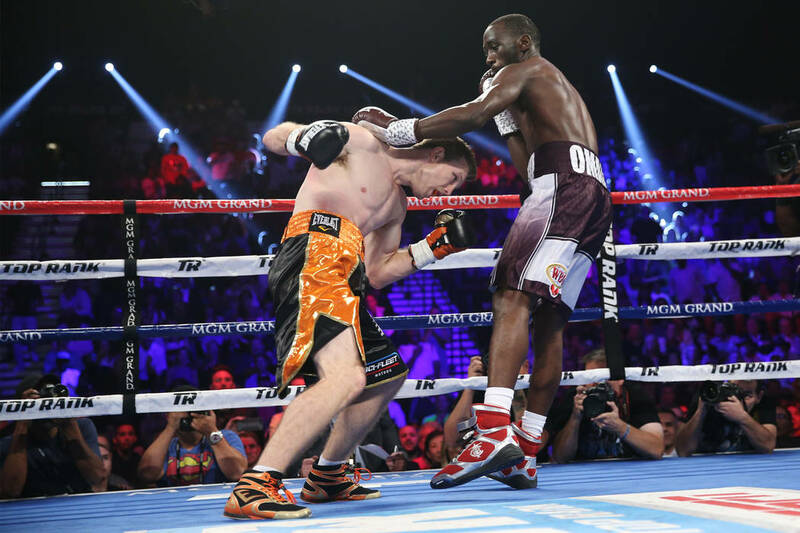 Terence Crawford said this week he’s not Manny Pacquiao. 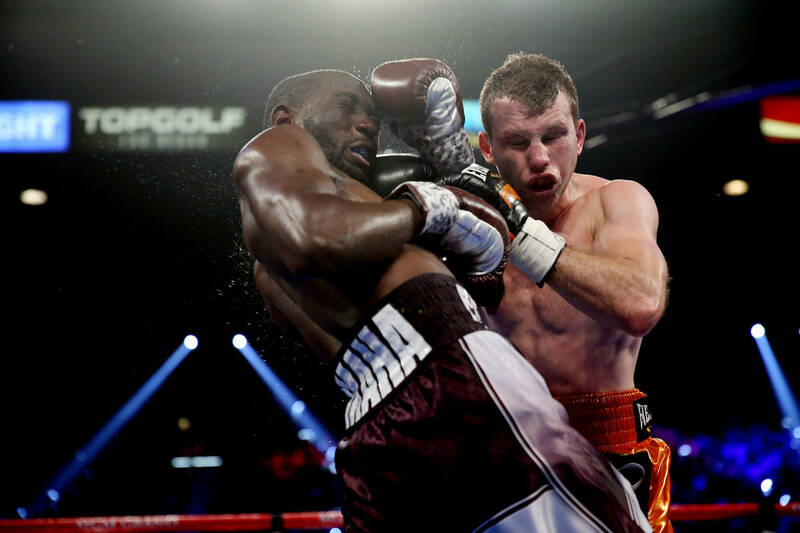 Crawford made that clear Saturday by doing something the legendary boxer couldn’t do — knock out Jeff Horn. 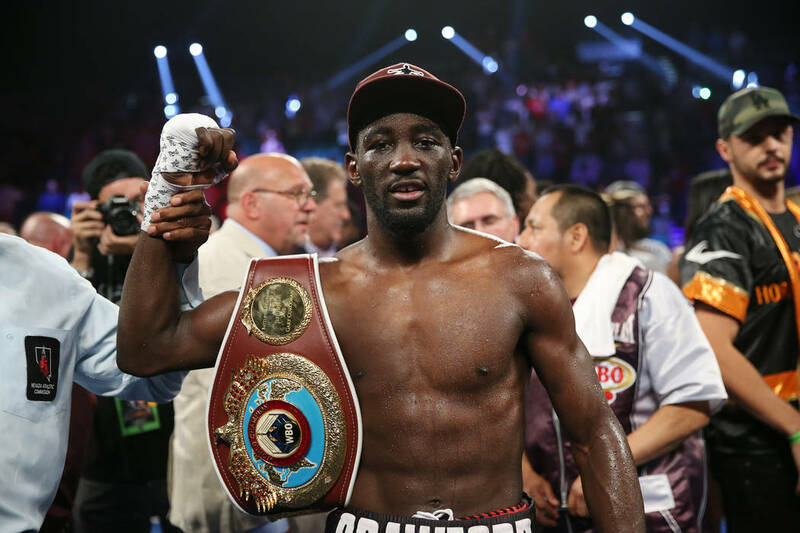 Crawford dismantled Horn for a ninth-round technical knockout to take the WBO welterweight title and become a three-division champion in front of an announced crowd of 8,112 at the MGM Grand Garden Arena. 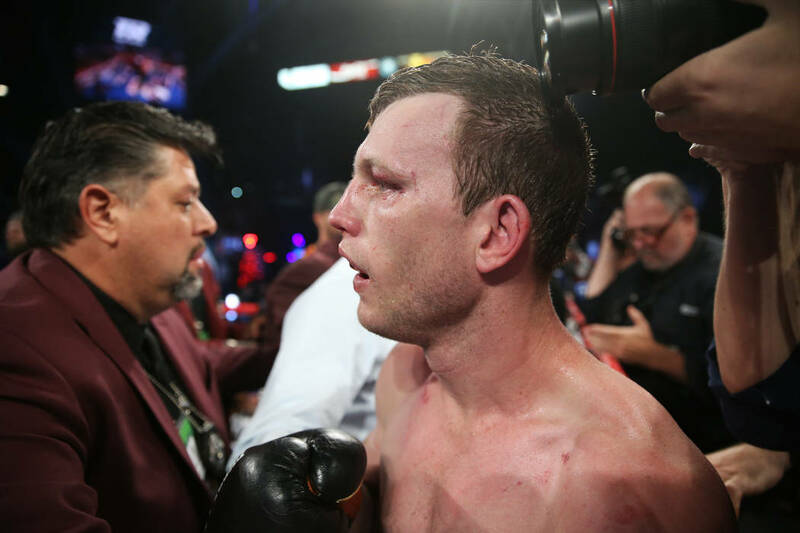 Horn’s size, strong will and aggressiveness earned him an upset over Pacquiao 11 months ago to become the Australian Cinderella Man. 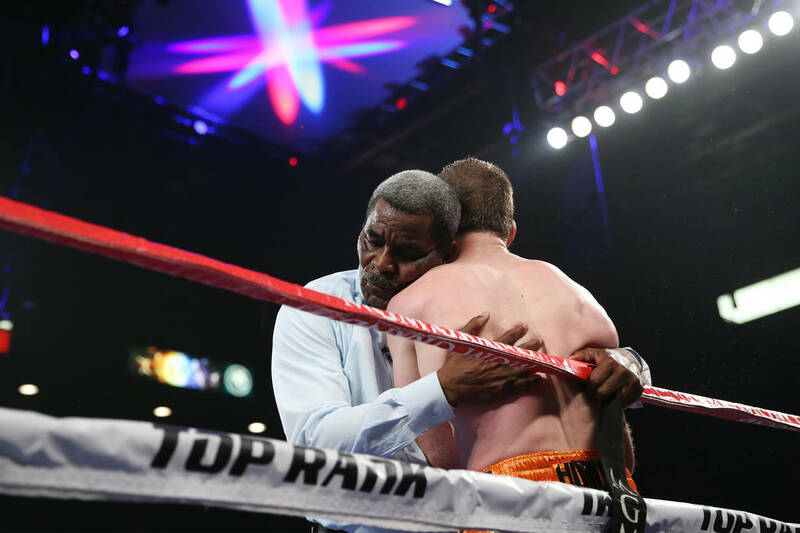 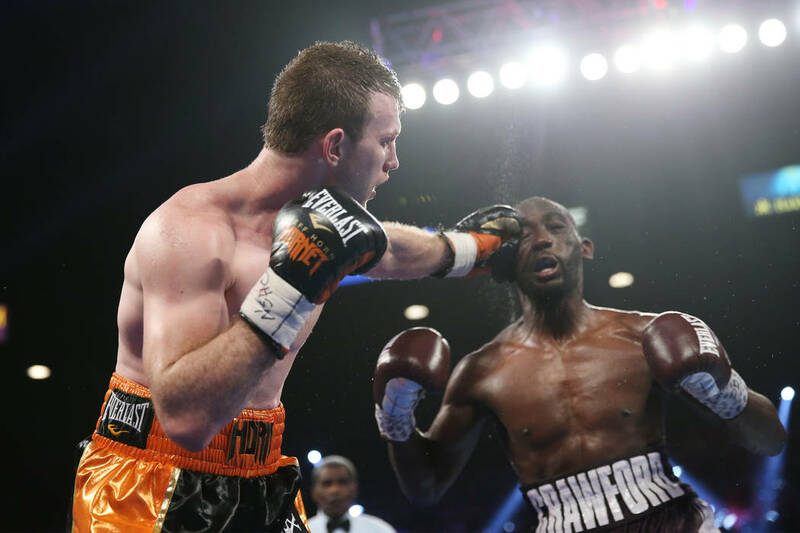 The Aussie had no advantages against Crawford, one of boxing’s top pound-for-pound fighters. 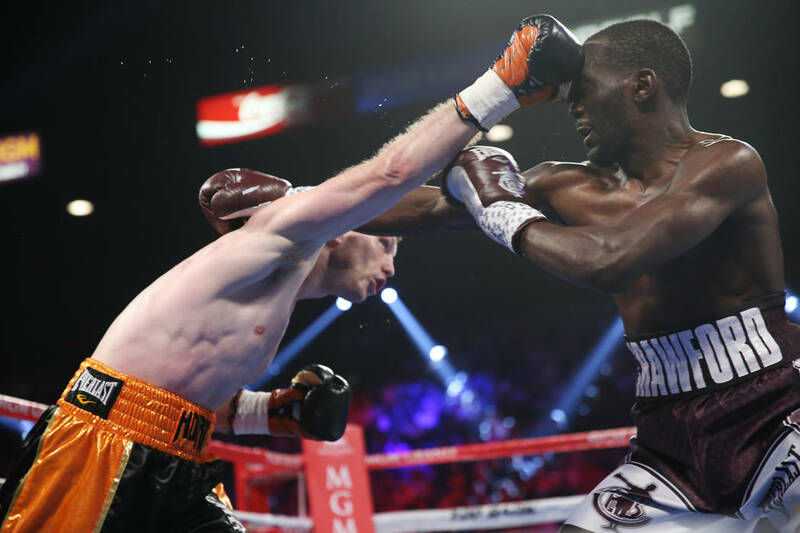 Crawford (33-0, 24 knockouts) forced Horn (18-1-1, 12 KOs) to touch the canvas with his gloves with 50 seconds left in the ninth round. 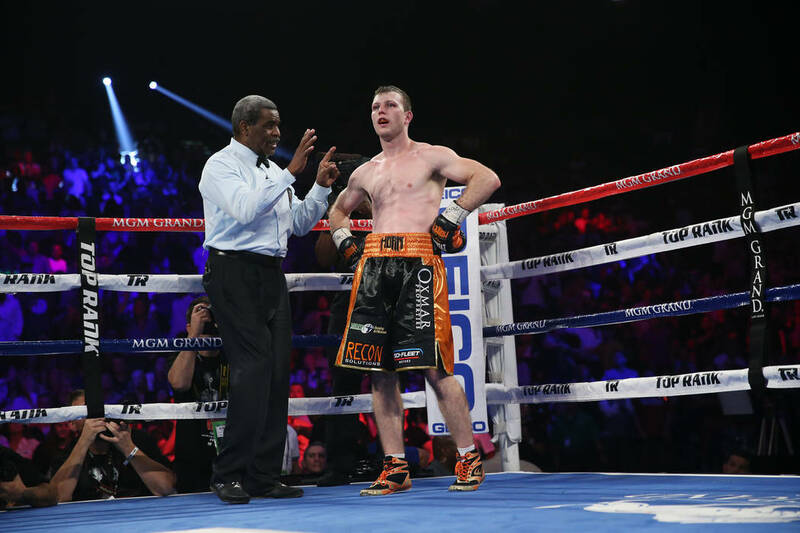 Referee Robert Byrd had seen enough and stopped the bout with 28 seconds remaining. 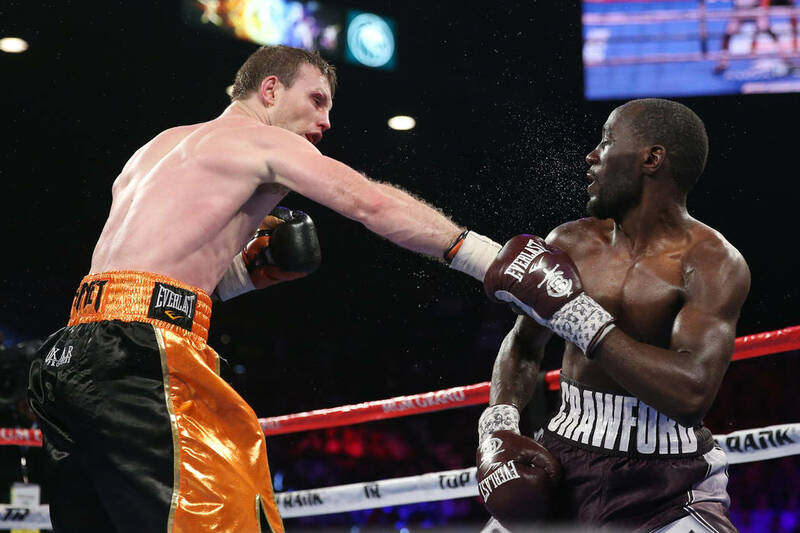 Crawford landed more punches than Horn — 155 to 58 — and connected on 48 percent of his power shots. 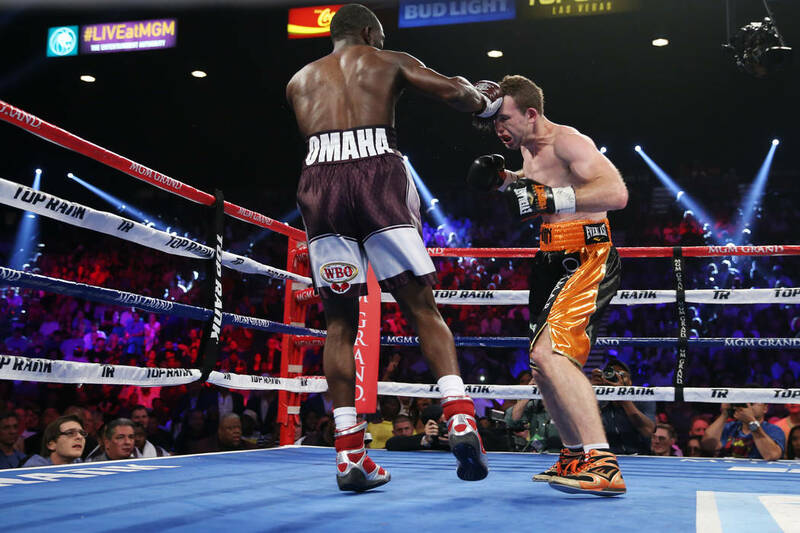 The Omaha, Nebraska, native is the sixth boxer to win world titles at lightweight, junior welterweight and welterweight. 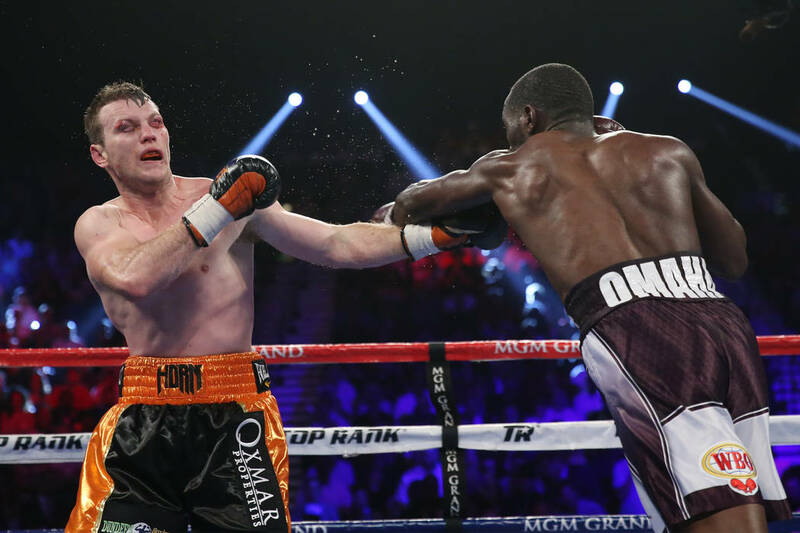 Horn’s only weapon was the straight right hand, but that led to counter right jabs and power left punches from Crawford, a natural righty who fought from the southpaw stance. 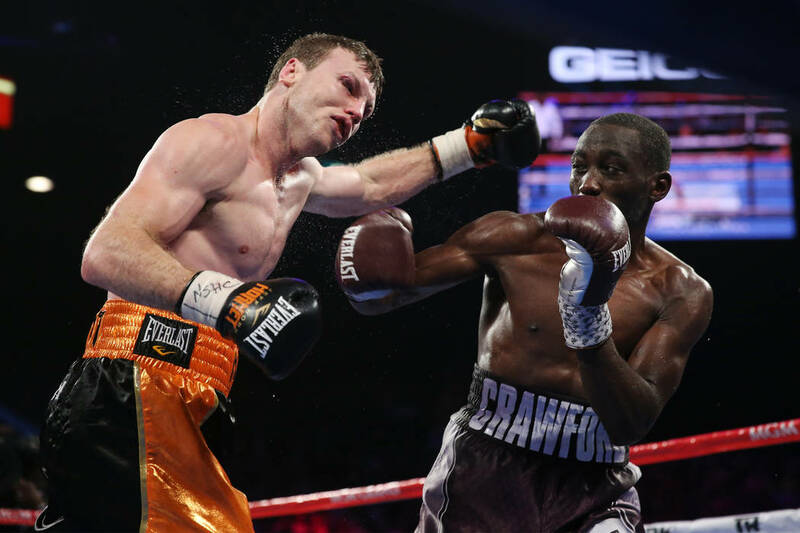 There were questions about Crawford’s size and strength in the new division. 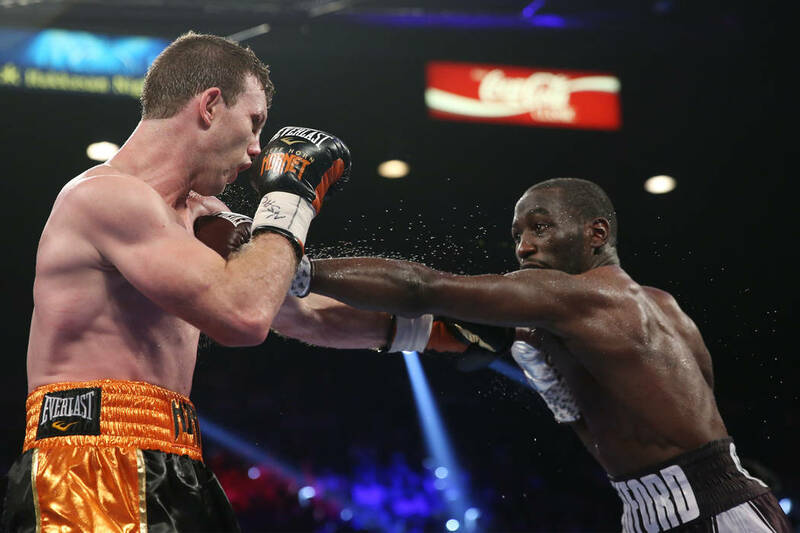 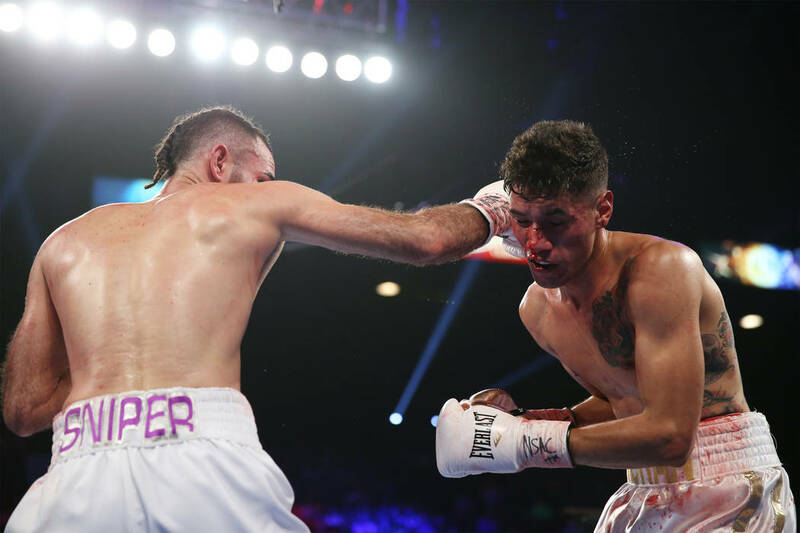 The doubt is gone after the former undisputed junior welterweight champion pushed Horn around for nine rounds. 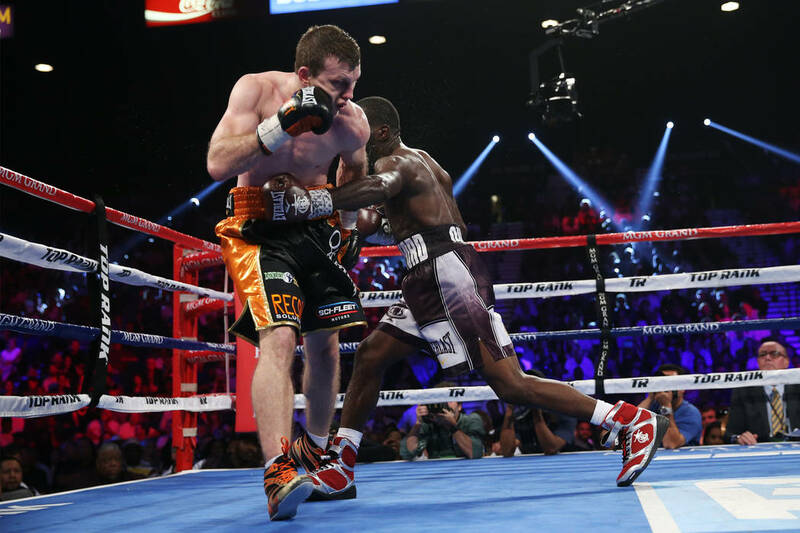 Horn’s corner didn’t agree with Byrd’s stoppage. 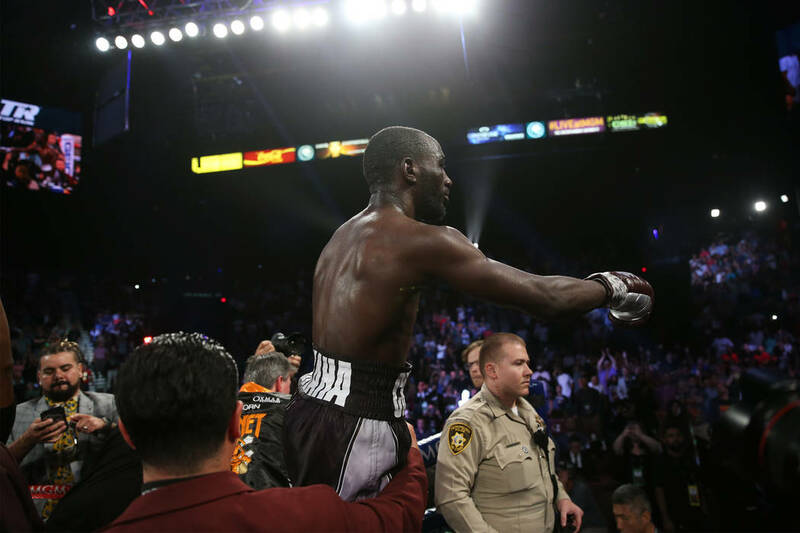 Crawford said he doesn’t want to play the role of villain like Floyd Mayweather did for so many years just to become boxing’s next star attraction. 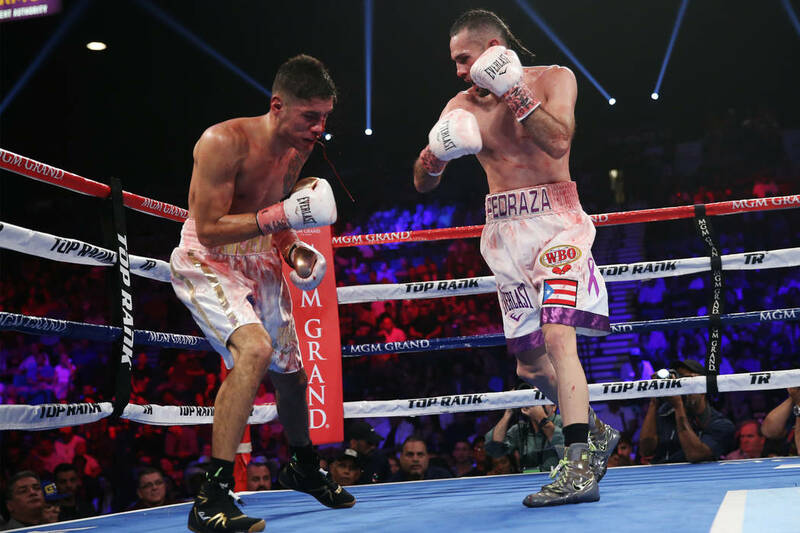 But he embraces the bad guy role in the ring and didn’t show Horn any mercy. 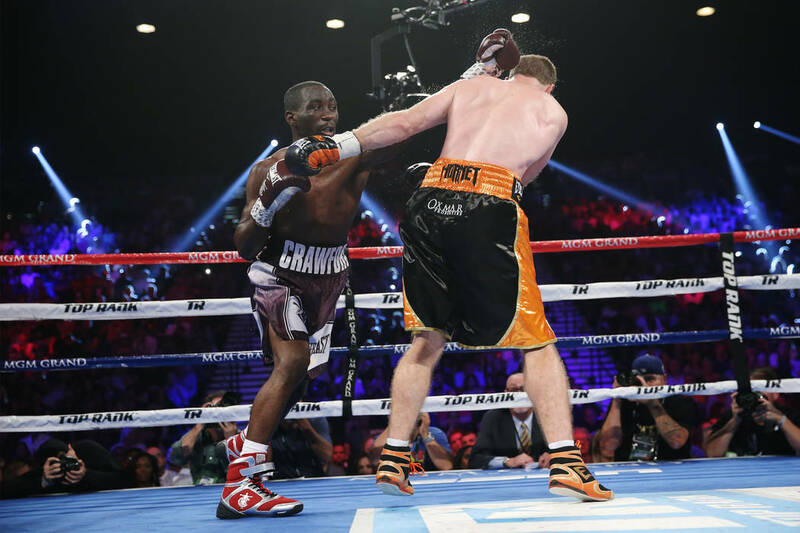 Crawford gloated in front of Horn’s corner and did a shimmy dance in the center of the ring after the bout was stopped. 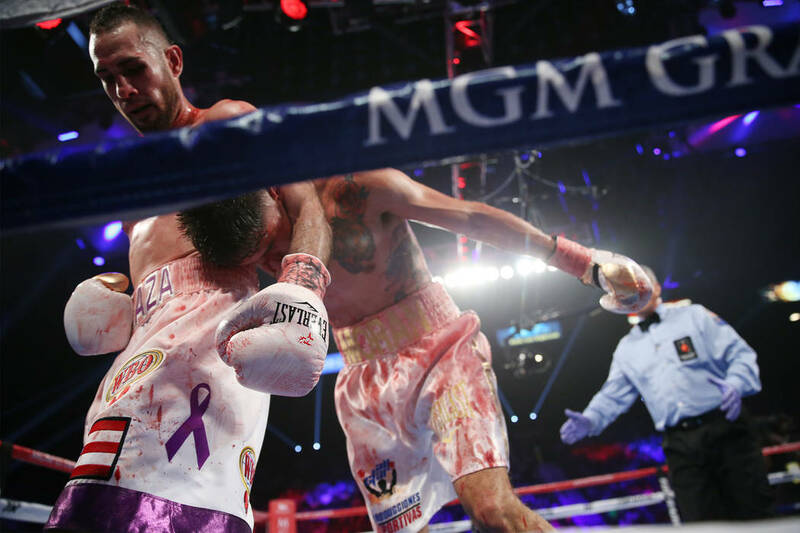 That nasty streak is why many pundits predict Crawford will be an all-time great in the welterweight division. 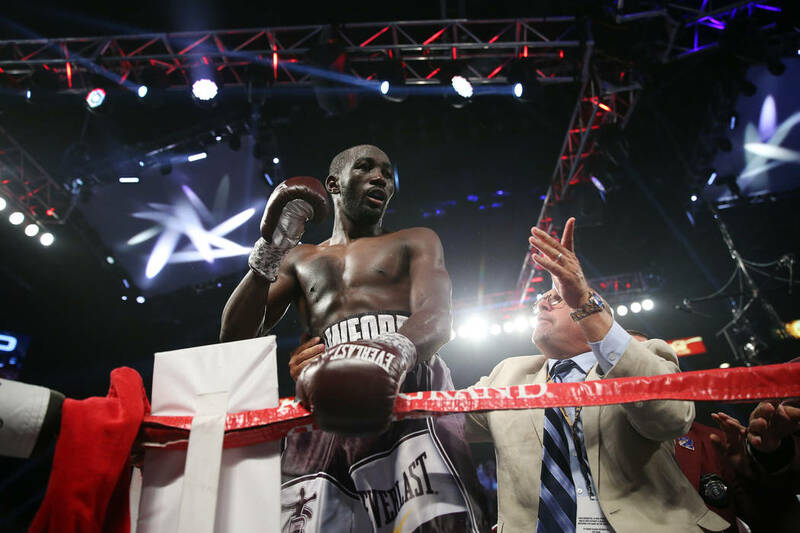 “Now I want all the champions at welterweight,” Crawford said. 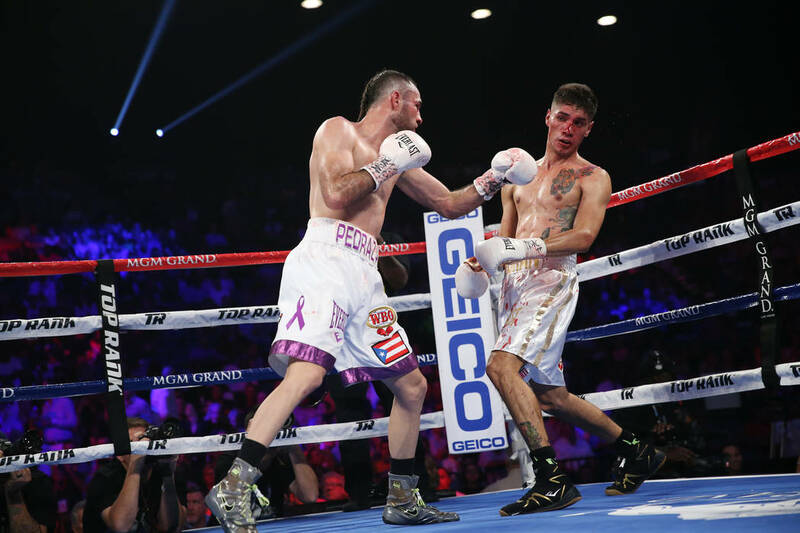 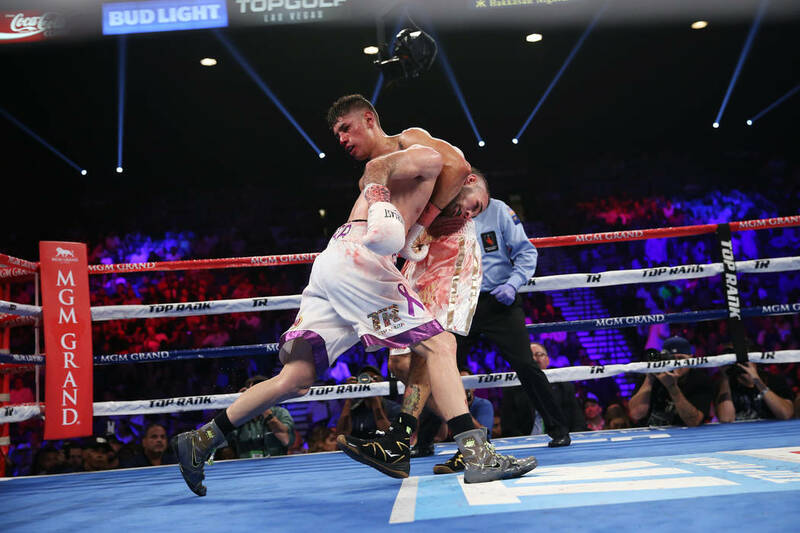 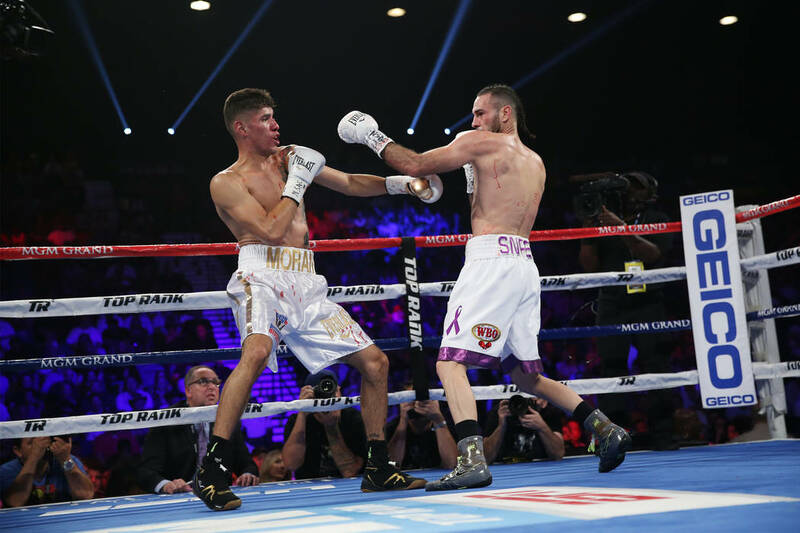 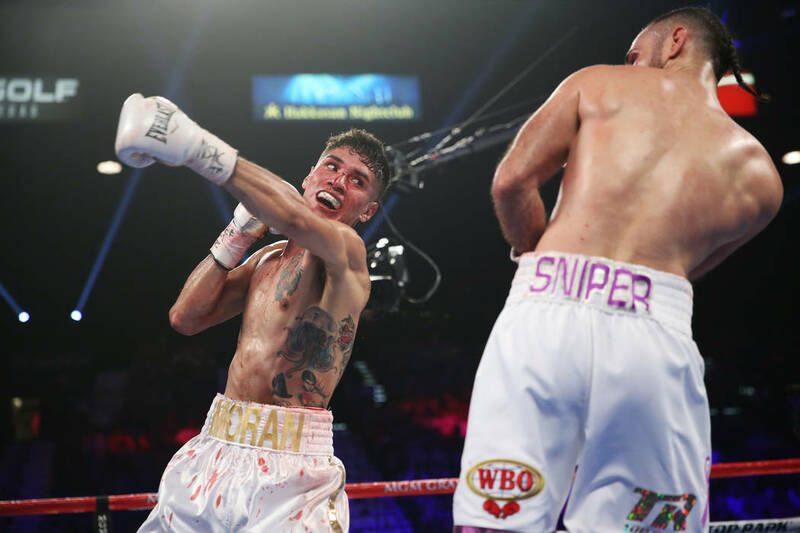 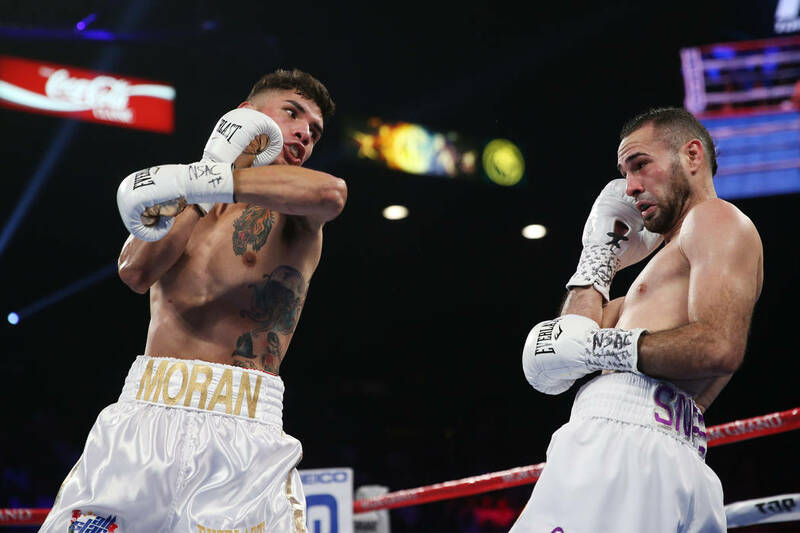 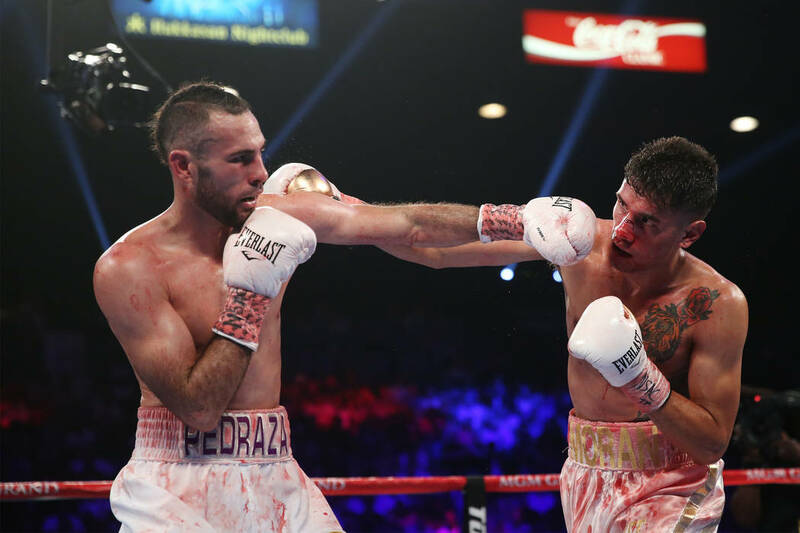 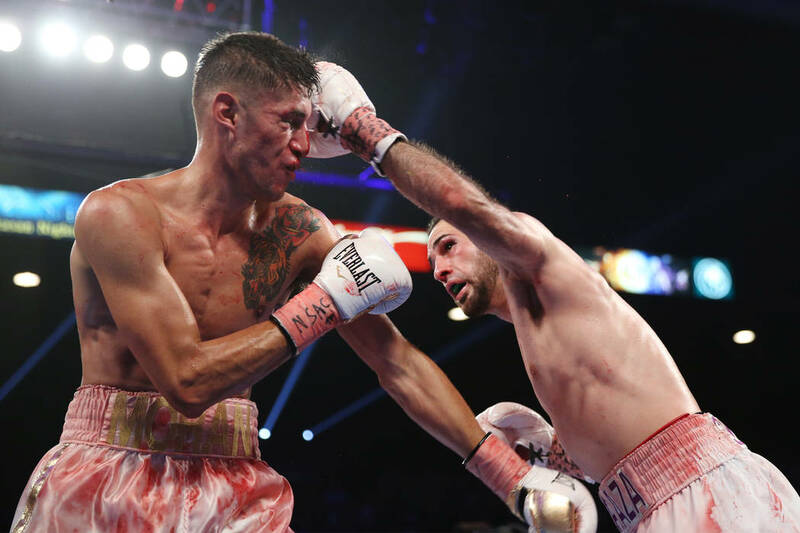 In the co-main event, Jose Pedraza and Antonio Moran added to the Puerto Rico-Mexico rivalry with a bloody 10-round slugfest. 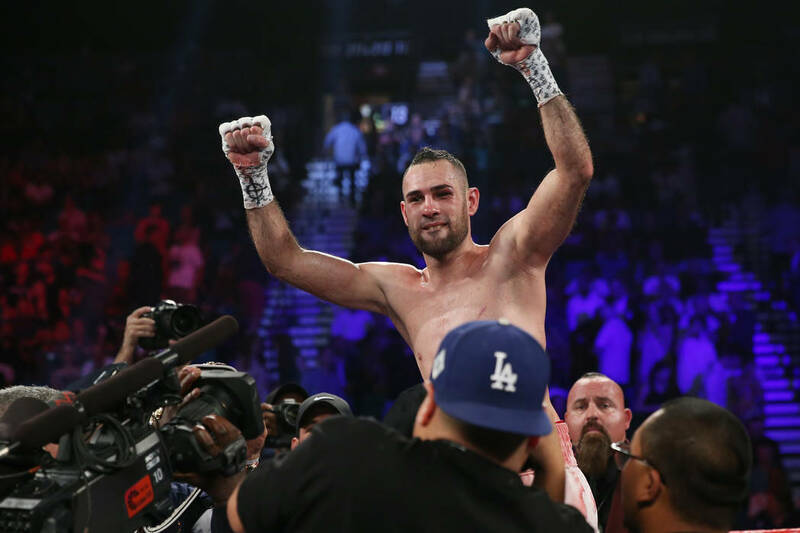 The Puerto Rican, Pedraza, defeated the relentless Mexican by unanimous decision with scores of 96-94 on all three cards. 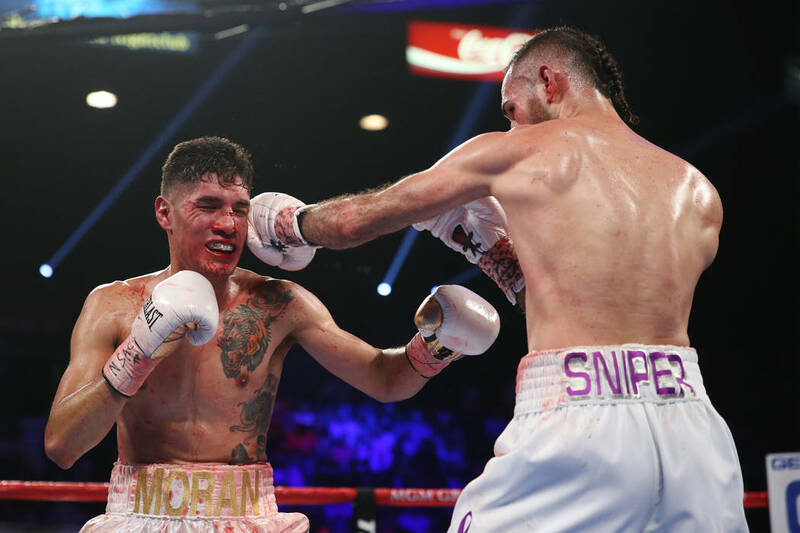 Moran fought with a busted nose for most of the fight. 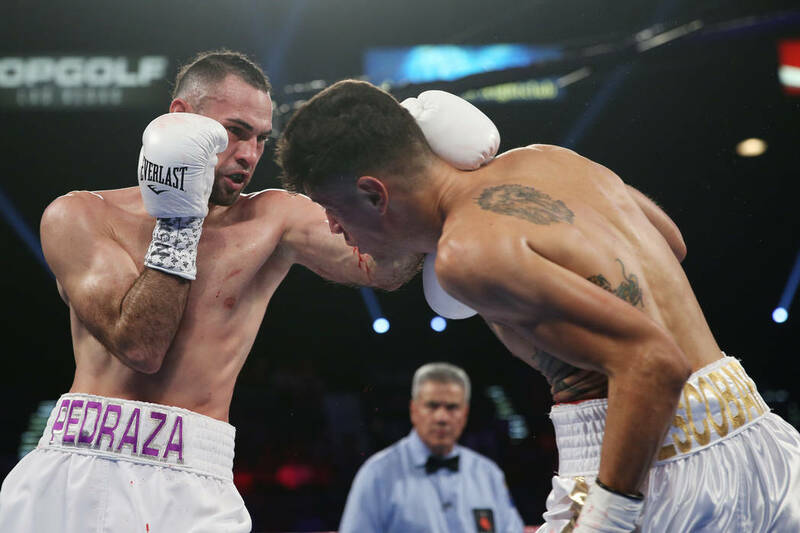 Pedraza, the former junior lightweight titlist, is now at the front of the line to face WBO lightweight champion Ray Beltran next. 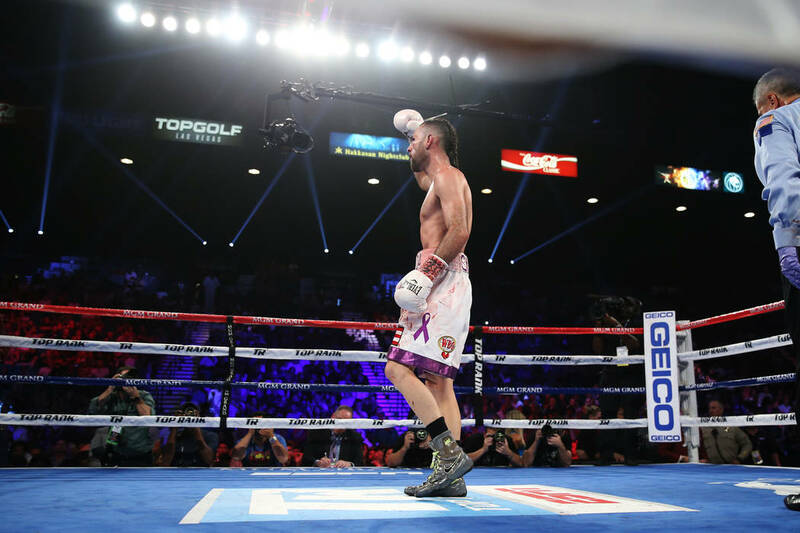 Beltran was scheduled to fight Vasiliy Lomachenko before Lomachenko underwent shoulder surgery last month and will be sidelined until at least December. 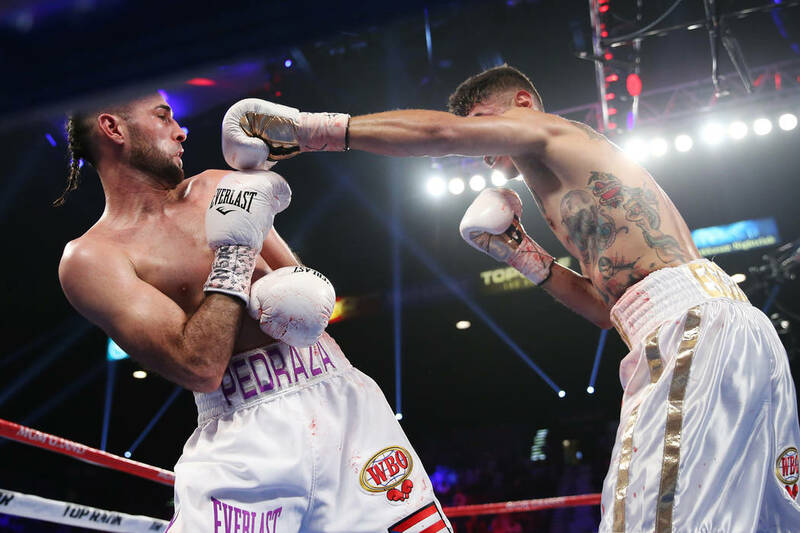 “Pretty soon Puerto Rico will once again have a new champion,” Pedraza said. 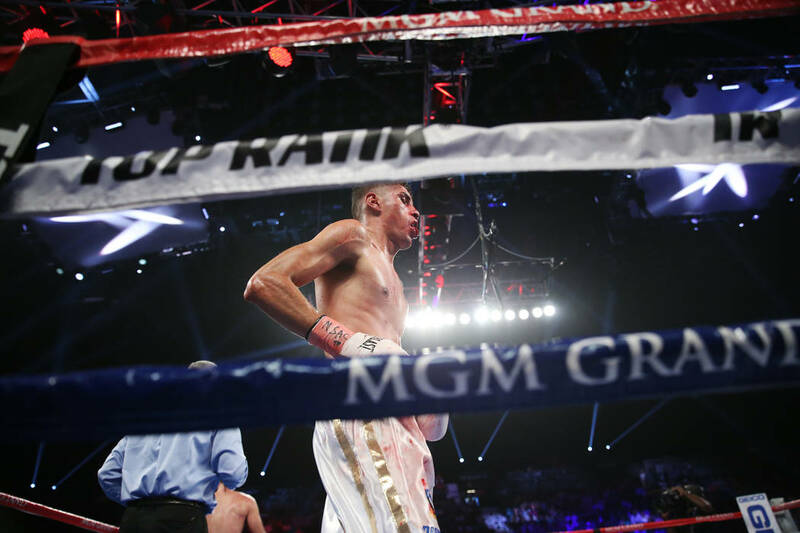 More boxing: Follow boxing coverage at reviewjournal.com/boxing and @RJ_Sports on Twitter.